Mary raised her four children in Scotch Plains, NJ. She had a long and successful career in Food Service, working at many establishments in and around Scotch Plains including Geiger's Restaurant and Bakery, The Stage House Inn, and the Harrogate Retirement Community. Mary loved to read Danielle Steele novels, visit Atlantic City, and talk with friends. She also enjoyed sunbathing, shopping, listening to music, and dance. Mary is survived by her children, Maryann Nesci-Glazer and her husband, Steven Glazer, of Roxboro, NC, Michele Nesci-Stanuch and her husband, David Stanuch, of Standish, ME, Michael Nesci and his wife, Ardie Griffin, of VT, and Maria Nesci-Livera and her husband, Rosario Livera, of Brick, NJ. 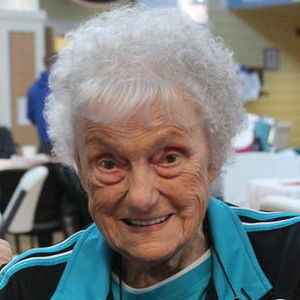 Mary was grandmother to six, Devon Taber and her husband, Thurston, Jeffrey Grindlay and his wife, Mindy, Kristi G. Farrell and her husband, Casey, Nikolas Nesci, Alyssa Kuklo, and Ashley Koharski and her husband, Keith; great-grandmother to seven, Isabella, Jax, and Elizabeth Taber, Mason and Olive Grindlay, Ivy Farrell, and Savannah and Taylor Koharski. She was predeceased by her four siblings, Olga Fabian, Albert Miko, Wilma Kursch, and Rudy Miko. A Memorial Mass will be said in Mary's name at 8:15am October 12th at Visitation Church in Brick, NJ. Mary will be laid to rest alongside her sister, Olga and brother-in-law, Chester at Fairview Cemetery, 1100 East Broad Street in Westfield, NJ. Interment will be announced at a later date. In lieu of flowers, memorial contributions may be made to the Michael J. Fox Foundation for Parkinson's Research online at www.michaeljfox.org, or to the Merrimack County Nursing Home, Edna McKenna Fund, 325 Daniel Webster Hwy, Boscawen, NH 03303. Phaneuf Funeral Homes & Crematorium is assisting the family with arrangements. To view an online memorial or check updated service information please go to www.phaneuf.net. Your inquiry has been forwarded to Phaneuf Funeral Homes & Crematorium.